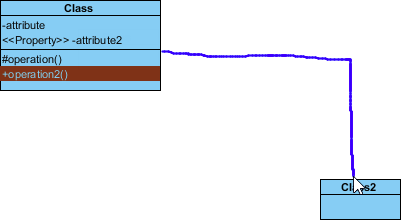 A variety of shapes and model elements can be created by sketching a path directly on the diagram pane with dragging the right mouse button to form a gesture. For your convenience and quick creation, mouse gestures allow you to execute common commands and create UML models within all diagrams. To start using a mouse gesture, press the right mouse button and drag it until finished drawing a shape. When the shape is done, release the mouse. After the shape is created, the action description will be shown on the top right corner of the diagram. 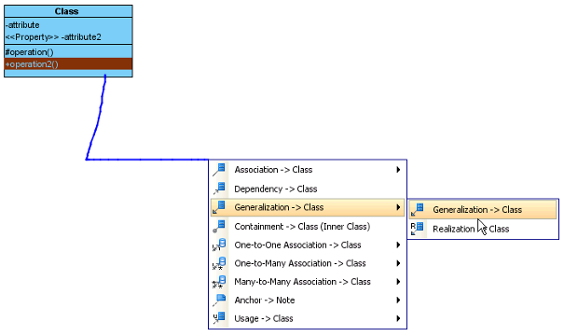 You can learn how to create attribute and operation within the class in the following sub-sections. 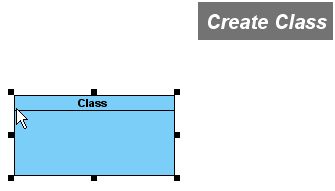 To create attribute, draw a line from the right to the left within the class. 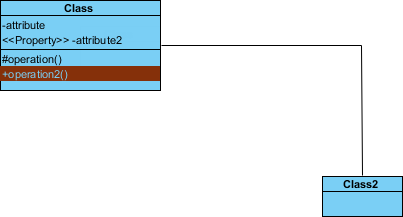 As a result, an attribute is created. 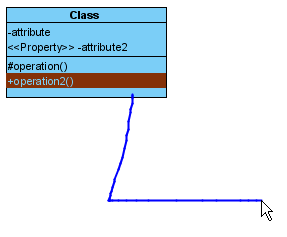 If you draw the line until outside the class, an attribute with <<Property>> stereotype will be created. 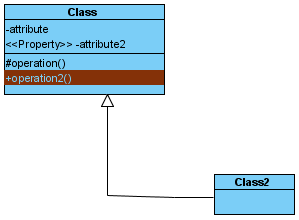 To create operation, draw a line from the left to the right within the class, an operation with protected visibility is created. If draw the line until outside the class, a public operation will be created. Draw a line from one shape to another. After the mouse is released, a connector is created between two shapes. A new shape can also be created. To do so, draw a line from an existing shape to your preferred place. After the mouse is released, a pop-up menu will be shown. You can select your preferred type of connector and shape from the pop-up menu. The two shapes with connector are created.